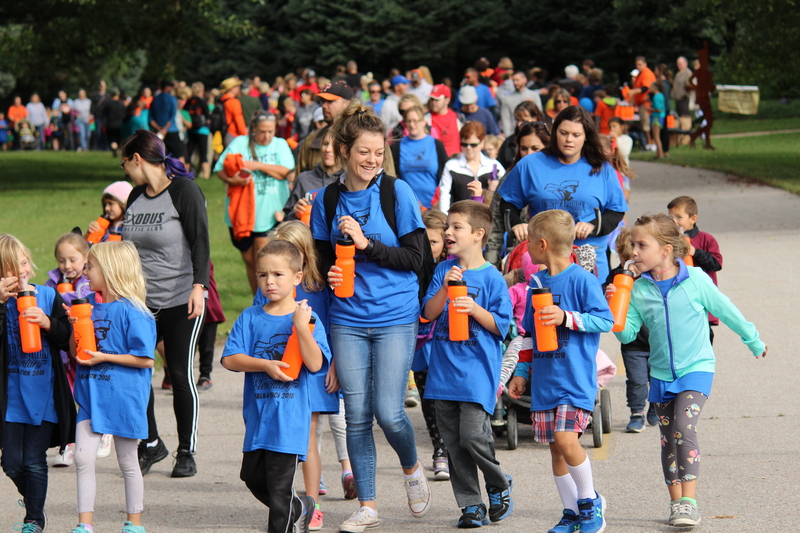 Thank you to all the Corporate Sponsors for the 2018 Fort Calhoun Elementary Walk-A-Thon! 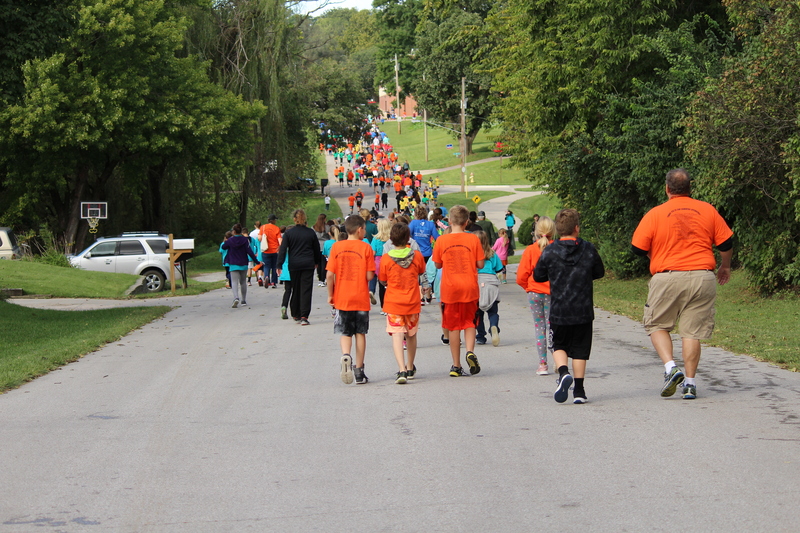 This year, the Elementary Walkathon was a huge success. The PFE raised $10,800 for our school. The amazing t-shirts, water bottles, and prizes would not have been possible without the support of business donations. Please consider supporting the following businesses as they did such an amazing job supporting us! 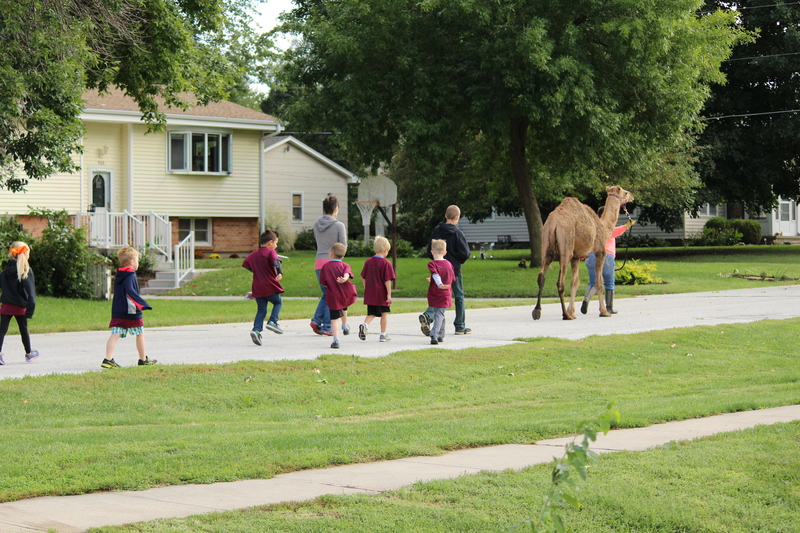 Also, thank you to our amazing volunteers, faculty, and staff who made the day possible! Your hard work is appreciated! Thank you! This entry was posted in Uncategorized on September 26, 2018 by Jennifer Gepson. This entry was posted in Uncategorized on September 21, 2018 by Jennifer Gepson. 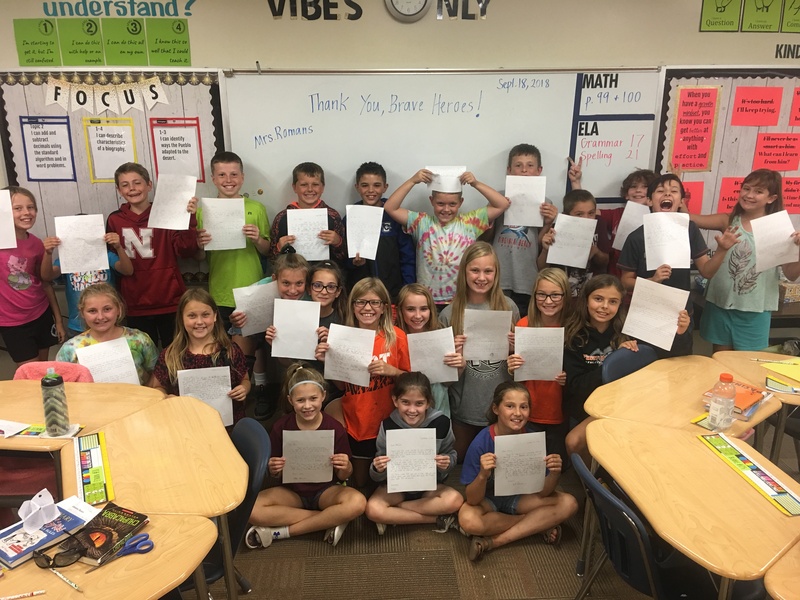 The fifth graders at Fort Calhoun Elementary wrote letters to thank local police officers as part of Embrace Blue “Thank An Officer Day”. These will be disbursed to officers in the Omaha area next week. This entry was posted in Uncategorized on September 19, 2018 by Jennifer Gepson. 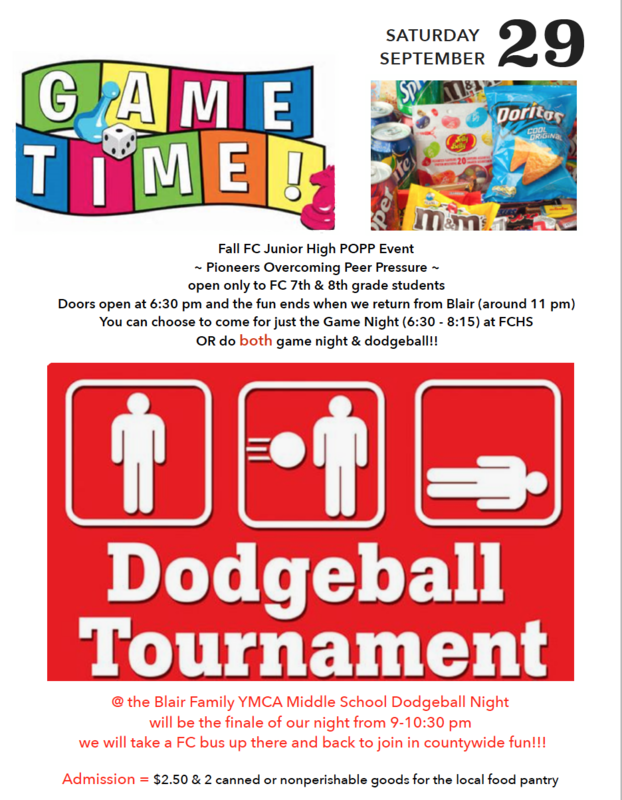 Fun Junior High POPP event next Saturday! This entry was posted in Uncategorized on September 17, 2018 by Jennifer Gepson.